Backed by profound experience of our experts, we are an unparalleled name engaged in providing high quality assortment of Sunayan Siddha Ghruta Eye Care. With the help of capable vendors, we have been proficient to offer an extensive range of Sallaki Tablets. is available in varied forms at nominal costs. We manufacture herbal medicine 100% natural protector of liver, promotes health, rejuvenator of human liver, prevents cirrhosis of liver due to alcohol and viral hepatt1s, anorexia and jaundice of varied etiology. We offer Atharva Vasadi Vati Tablets that are made from herbs that are grown with organic fertilizers in our own Vermi Compost Project, Sanjivanee Medicinal Plantation Unit. No chemicals are used as raw material to manufacture Atharva Vasadi Vati Tablets. 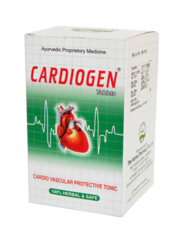 The manufacturing procedure of Atharva Vasadi Vati Tablets is in exact accordance with Ayurveda. Being a leading enterprise of this industry, we are offering a huge range of Cell Activator Tablets. 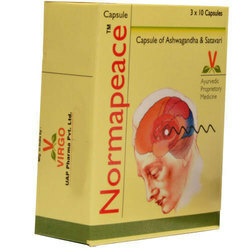 Helps in hair strenthening , decreases hair loss , helps in nourishment of hair.